Many of us know people who got a degree and wind up not liking the job associated with that degree. I wonder if they ever go back and wish they had made a different decision. I wish there was a way for Future You to reach back and tell Present You to choose your major carefully. A lot of you are going to get degrees based on something your friends said or based on some outdated reason. A lot of you are going to overlook something that you really, truly want to do or something that isn’t going to give you the lifestyle you want. So here’s something I want to teach you. Remember to keep your desired lifestyle in mind when you select your college major. This was very important to me when choosing my own occupation. Anyone who knows me knows that I would rather be a high school teacher, but I saw that teachers were underpaid. I knew it wouldn’t be a profession that could support the lifestyle I wanted. So, just as I did, teens also need to make informed decisions when they’re selecting their majors. But when you think about it, only the teen can decide if job satisfaction or lifestyle will be the driving factor in selecting his or her major. If they can find a job that both satisfies them and garners the desired lifestyle, they’ll have achieved a much-coveted feat. 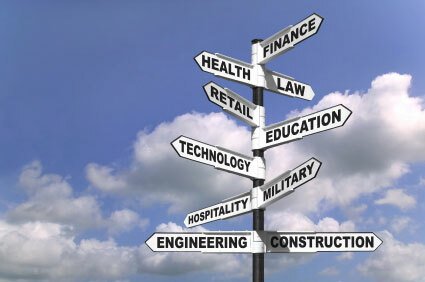 So I leave you with this thought: pick your major based on the lifestyle you want to have after you graduate. You should never go to school, get a degree, and then be shocked about the money you make or how little of it you’ll make. One option could be identifying the degree you want, the lifestyle you want, the occupation you want, and then finding somebody who’s doing that. Shadow those people. See if they mind your asking questions to learn more about what they do. Because you might just find that you don’t want to do what they do. We once had one teen who said he wanted to do colonoscopies. We partnered him with a doctor, and the doctor let him help with colonoscopies. Our teen decided, Yes I want to do this. So he got his degree in that field and now he performs colonoscopies. Whatever rocks your boat. But wouldn’t it have been awful if he’d gotten into the major and decided, You know what? I don’t want to do this? See, that’s the beauty of asking questions before you spend all this money or time getting scholarships only to later decide you don’t want to get that degree anymore. So think about this now when you’re in 9th, 10th, and 11th grade. Think about it now so you don’t waste time undoing the hours of scholarship searches or going back to get another degree after you’ve already earned one.